This is the 4th Card in The For The Beginner Stamper Series. I love how this card turned out, using only one stamp set, 3 ink pads and Cardstock. 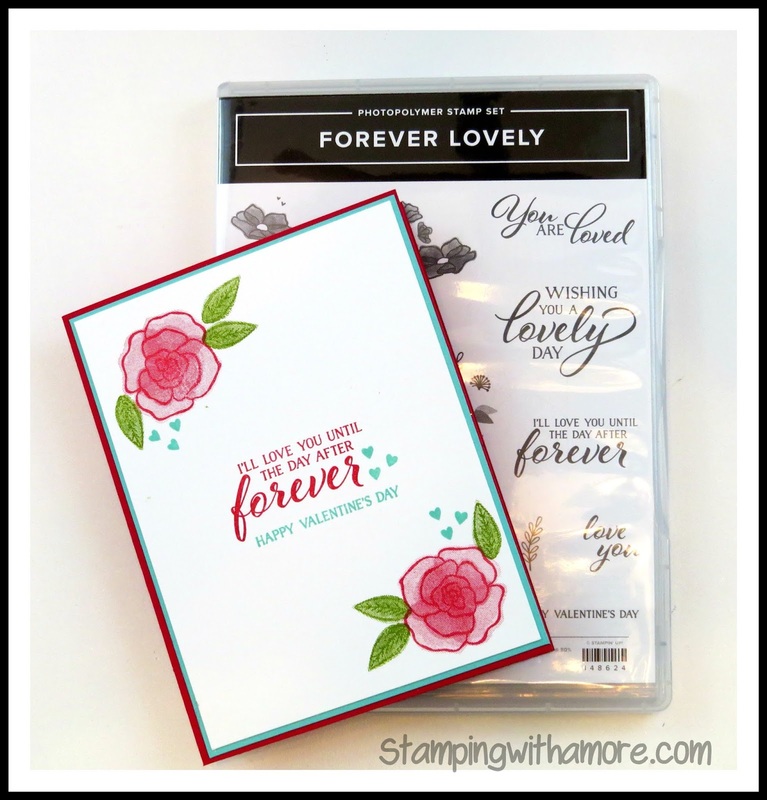 The stamp set is the Forever Lovely Stamp Set. Such pretty images. 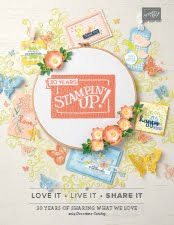 This is one of the Stampin'Up Dist INK tive stamp sets. It looks 3 dimensional when stamped. THERE IS NO PDF FOR THIS CARD BECAUSE THE ONLY MEASUREMENTS ARE THE CARDSTOCK. Real Red Cardstock for the Card Base is 8 1/2" x 5 1/2" score at 4 1/4". 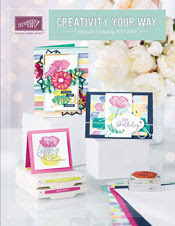 Coastal Cabana Cardstock is 5 3/8" x 4 1/8". Whisper White to Stamp on is 4" x 5 1/4".